Hi guys, not my bag as it were so sorry if they are post war or something. 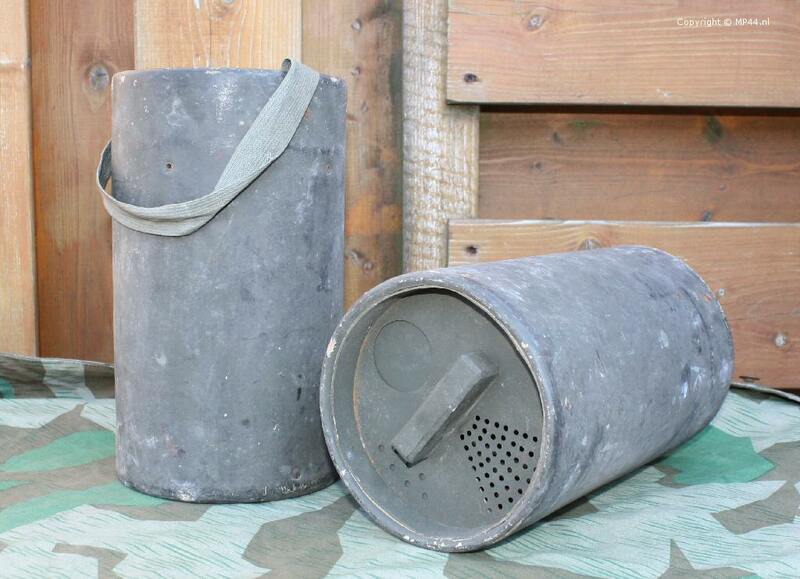 Couple of respirator canisters up for sale (not mine) standard style container with a handle on the back of it and an adjustable perforated lid for sprinkling decontamination powder around. I personally have never seen one before so if they are authentic kit can one of the subject matter experts out their give us all an update for educational purposes. Never seen a cannister being converted to a Entgiftungsbüchse, nice one ! Like I said, not my sphere of collecting so if it rings your bells and is authentic feel free. Their are 2 canisters, 2 prices, so if you search you will find!! Both dated 1940 apparently. What kind of powder was in the containers?? This would be chlorine powder (bleach) as that is the product that counters mustard gas. Thanks for that, the powder I used in service was fullers earth so I was wondering what would have been used during WW2. We did use bleaching powder for decontamination but that was for bulk large items like vehicles etc. Mind you the fullers earth was also available by the sack load so could also be used for large items and areas. Was chlorine powder the only product they used?